As we share all the pieces of our kid’s Easter table, you may have noticed that we are going for a very bright and vibrant color scheme with our arrangement. We wanted to create a truly celebratory party atmosphere! 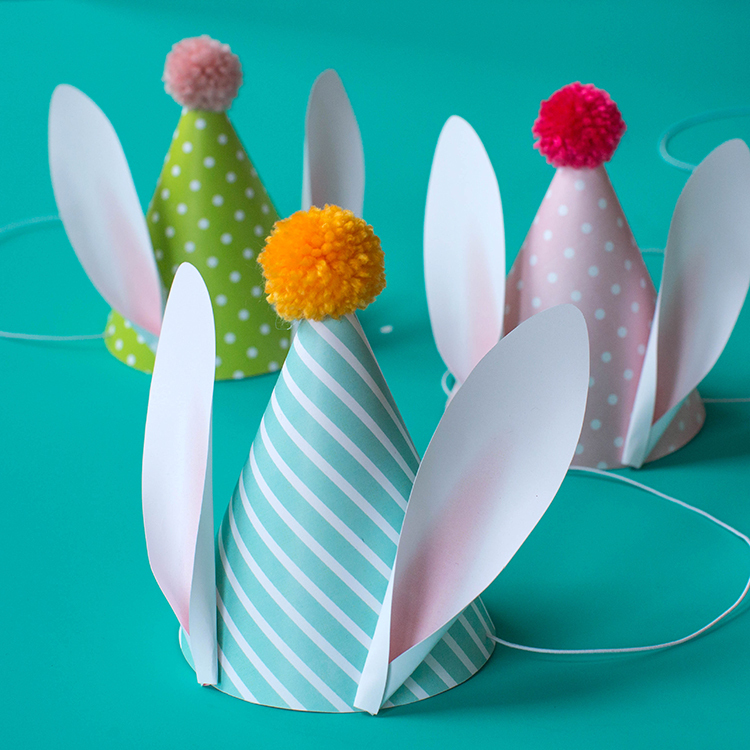 And if you are hosting a party, it is always an opportunity to make some DIY party hats. 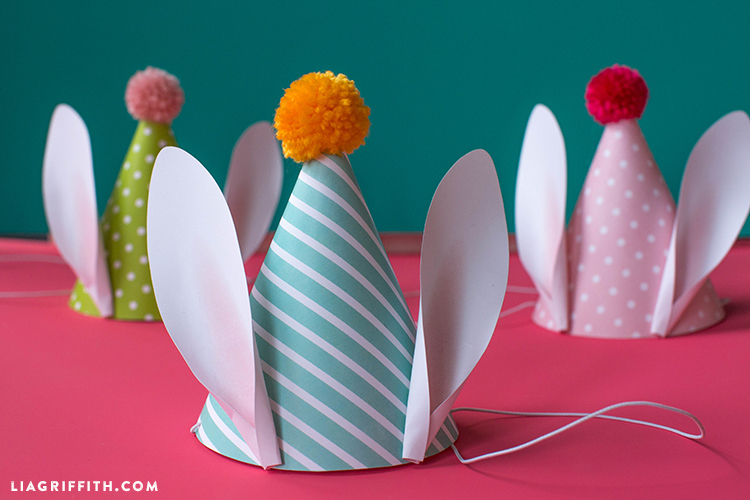 All you have to do is add a couple of bunny ears to turn them into adorable Easter party hats. Print the PDF at the bottom of the post onto cardstock and cut out the party hat pieces. Form the hat into a cone and glue together along the tab with your glue gun. Curl the ears inward using the side of a table or the edge of your scissors and glue the bottoms together. Attach the ears to the front of the party hats. 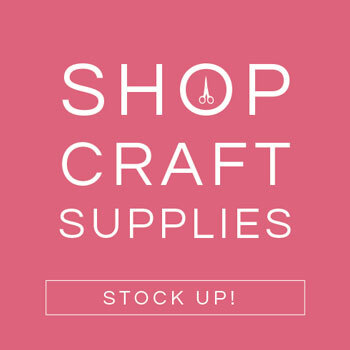 Our download include four different designs to make your party hats – two striped patterns and two polka dot patterns. If you want a bit of guidance in making yarn pom poms, you can find our free tutorial in this post. 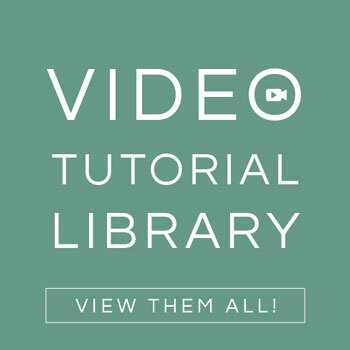 Get creative with your color combinations! 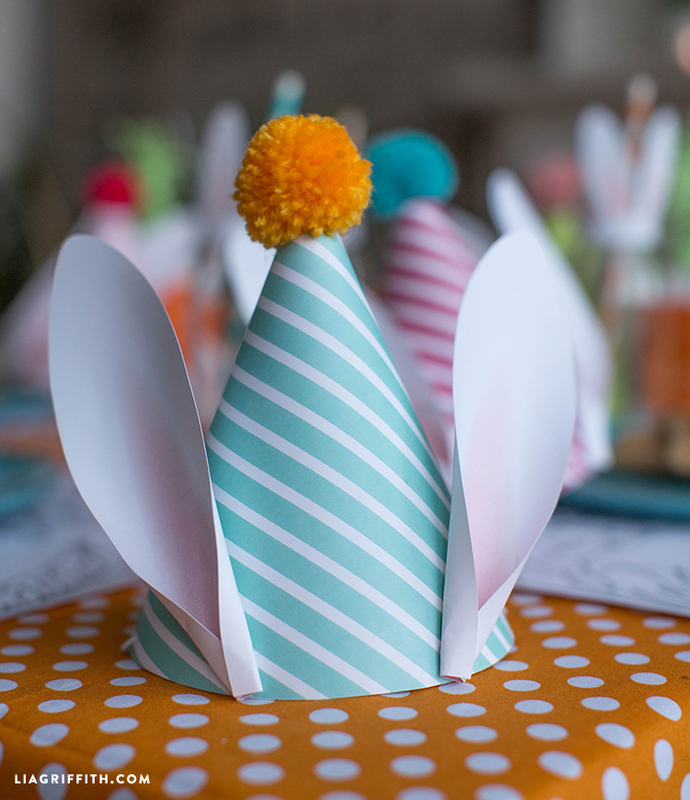 We incorporated these into our Easter celebration, but you could also use these bunny party hats for any kid’s birthday party. 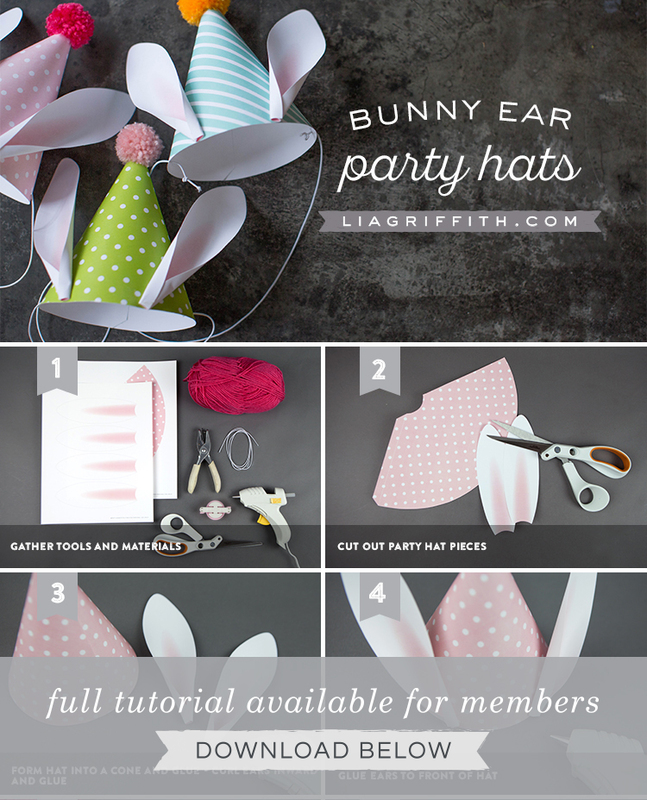 Or feel free to leave the ears out to make regular old DIY party hats! Stay tuned as we continue to share all of our kid’s Easter table projects, including carrot treat cones and matching carrot drink cozies. If you want to inspire some holiday cheer with your kids, be sure to read through our round-up of easy kid’s crafts for Easter. We always love hearing what inspires you, so leave a comment below with your project ideas and suggestions. 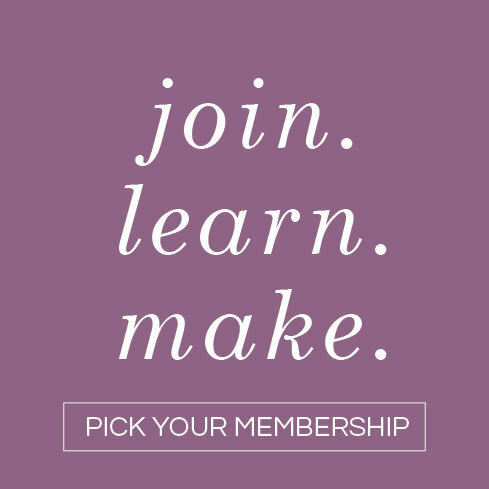 Browse through all of our Easter DIYs, or head over to our membership page to start crafting with us. Follow us on Instagram, Facebook and Twitter for daily inspiration, and tag your project photos using #madewithlia.